How Is Trump’s So-Called Announcement About Moving The U.S. Embassy In Israel Different? Short Answer: It’s Not. And Trump is still pushing the suicidal “two-state solution” trying to force Israel to give up the holy land to mass-murdering Muslim terrorists. This whole “Trump as friend of Israel” thing is being waaaayyyyoverblown. I mean, as I’ve said before, anybody is going to appear amenable to Israel after 8 years of that detestable anti-Semite (yeah… I said it), Barack Obama. The man could barely contain his contempt for the nation of Israel, and his parting shot, instructing his ambassador to the U.N. to abstain from voting on the U.N. Security Council’s condemnation of Israeli settlements was unforgiveable. However, it’s time for some reality about who Trump is and what he’s really doing. While his defenders are doing somersaults, this is what really happened today. Trump declared Jerusalem the capital of Israel. Trump knows just saying something, in the eyes of his loyalists, means more than actual actions. Actions, for example, like moving the embassy from Tel Aviv to Jerusalem. White House senior aide and Trump son-in-law, Jared Kushner, the man tasked with bringing peace to the Middle East, said earlier that there were no plans to move the embassy. He would know. He acknowledged Jerusalem as the capital, but agreed he’d be signing another waiver to keep the embassy in Tel Aviv. Just like every other president over the past 20 years. Moving that embassy was a campaign promise. He first rolled on it in June. Now he’s doing the exact same thing, but doing it with a twist, in order to give his supporters a thrill. 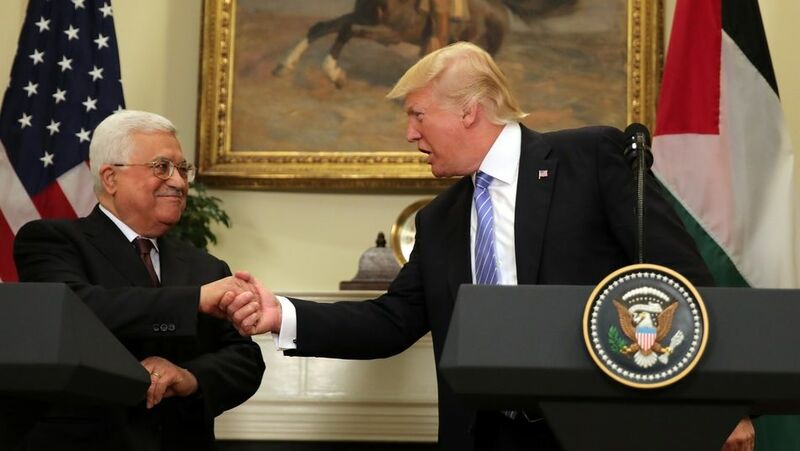 A spokesman for Palestinian President Mahmoud Abbas said Tuesday that Trump called Abbas to inform him of his plans to move the embassy. A Palestinian envoy said Monday that recognizing Jerusalem as the capital of Israel would have “catastrophic consequences,” calling it a “kiss of death” to peace negotiations. And of course, we know all this to be true, which is why Trump’s promises mean nothing. He blusters and says a lot, without the slightest clue about how he intends to see them through. When confronted reality, he bolts. He can always blame the establishment or “fake news” later. He’s a reckless demagogue and nobody should take much of anything he says seriously.